If you’ve ever sat watching Man v. Food and wished you could have a go at a challenge, now’s your chance. To celebrate the premiere of the new series the Food Network has created an official Man v. Food challenge. The challenge? Well, it’s one heck of a burger. 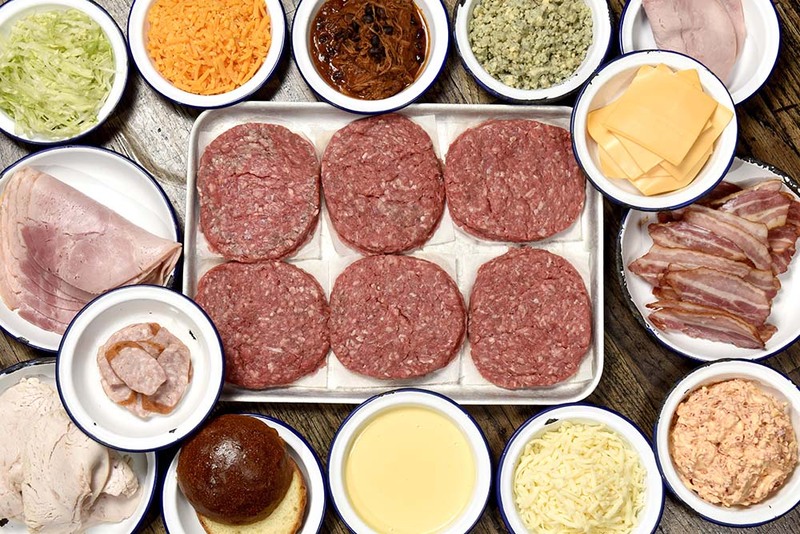 You can take on the whopping Official Man v. Food 3kg burger, consisting of six patties, each injected with a different cheese including; jalapeño, Stilton, Monterey Jack and Red Leicester. Layered in between the patties is a big apple hot dog, honey roasted ham, smoked ham, roast turkey, streaky bacon, chilli beef, American cheese and lettuce all very careful balanced within a soft brioche bun. 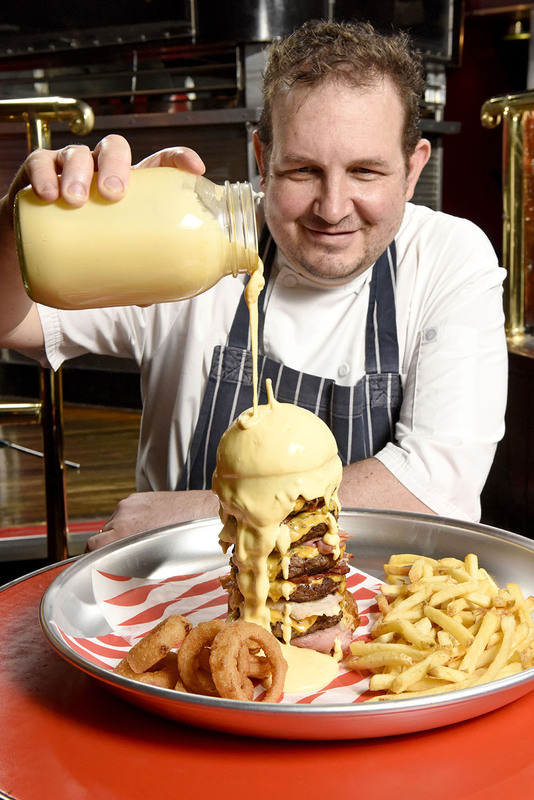 To top it all off, the burger will come served with a generous one-pint jug of cheese sauce for pouring on top, a pile of fries and a casual side of onion rings. Yes please. The new series of Man v. Food started on Saturday (January 27) and the series promises to entertain with its classic and well-loved format. 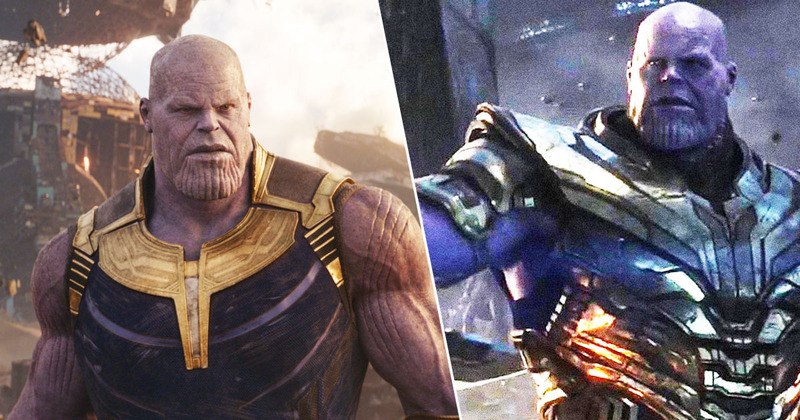 But, there is a new host. Hailing from east coast America, food enthusiast Casey Webb is stepping up to the Man v. Food plate. He continues the legacy of taking on the most insane food challenges from across America, from the Belt Buster in Charleston to Milwaukee’s infamous Commish sandwich. Man v. Food is back on our screens with new food challenges and a brand new host. 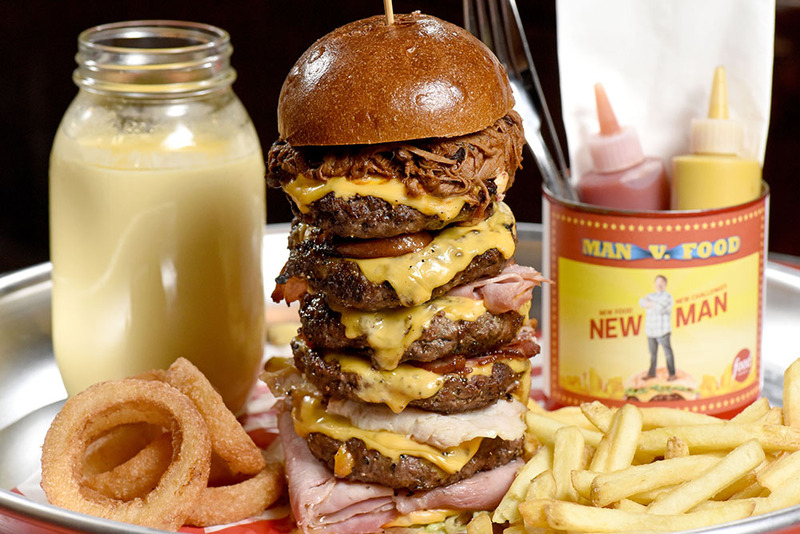 There hasn’t been any official Man v. Food challenges here in the UK as of yet, so we thought it’d be a perfect time to bring the love of bigger and bolder food to life. Fancy your chances? The Man v. Food burger challenge will be available at The Roadhouse restaurant in Covent Garden from February 2 until 16, between 5.30pm and 8.30pm and must be booked directly via the restaurant by calling 020 7240 6001. For the first 50 people brave enough to rise to the challenge, the meal will be free. There will be a maximum of 10 challenge spaces available per day, first booked, first served. Thereafter it will be priced at £30 and can be enjoyed free of charge if you can clear your plate within 15 minutes! I’d definitely like to give this one a go.